Lee Min Ho who is starring in The Moon that Embraces the Sun (The Sun and the Moon) delivered his thought on the debarkation. Lee Min Ho is playing the role of Yang Myung in The Moon that Embraces the Sun. And he even becomes the national flower boys gang of four together with Yeo Jin Goo, Lim Si Wan, and Lee Won Geum, receiving attention. As such, viewers have requesting to add the share of child actors appearance, but they will still leave the drama after episode 6. 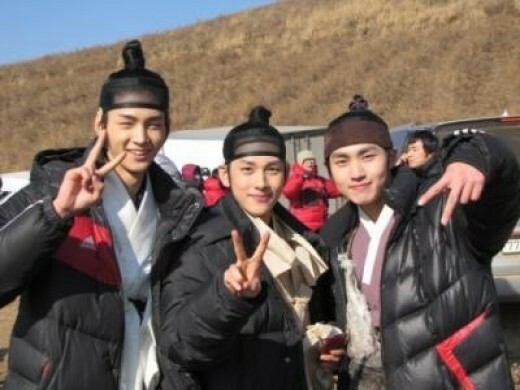 Besides, starting from episode 7 on January 27th, 2012, Kim Soo Hyun, Jung Il Woo, Han Ga In, Kim Min Seo, Nam Bo Ra and others will take over from young actors, continuing the popularity of The Moon that Embraces the Sun.